The Full Basket: The “baskets” begin in mid May and run for twenty weeks. Please read the “Veggie Club Membership” tab to learn more. In the spring the full basket is comprised mostly of greens, as they are quick growing. 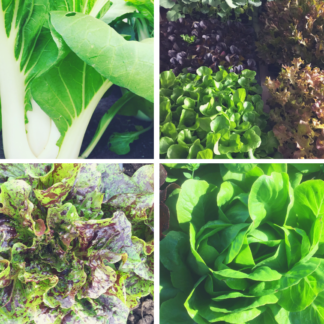 We do our best to offer a diversity of “greens” ranging from arugula, mustards, spinach, baby lettuce, tatsoi, kale, and chard. May also offers, rhubarb, radishes, bok choi, and spring onions. June brings beets, head lettuces, broccoli, garlic scrapes, cilantro, dill, peas, mature kale and chard, carrots, and mini onions. July and August are the peak of summer vegetables diversity! 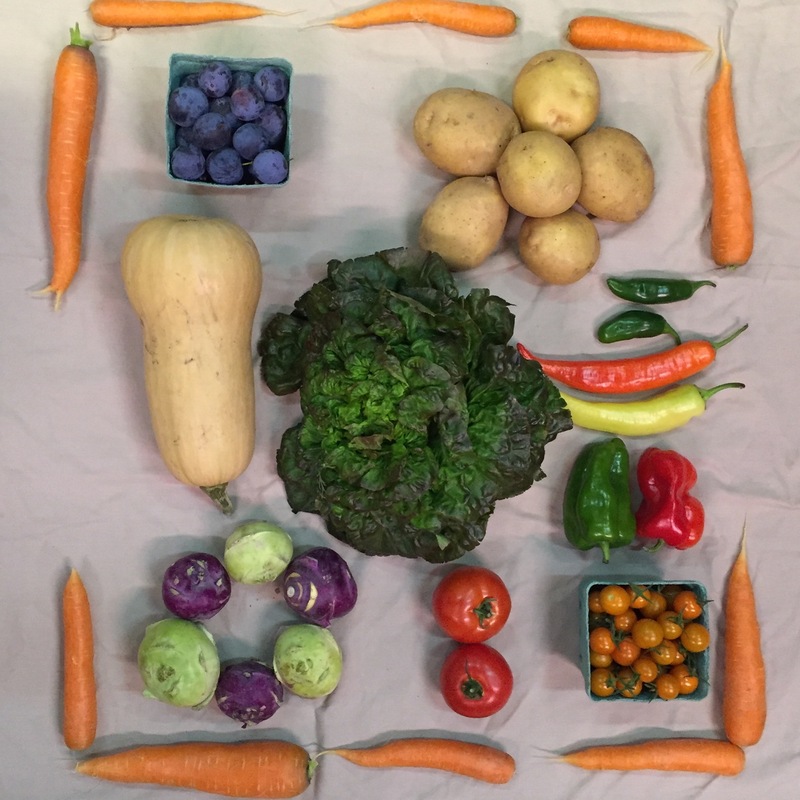 During these months the baskets are filled with cucumbers, summer squash, carrots, broccoli, fresh garlic and onions, beets, basil, cherry and slicing tomatoe, new potatoes, peppers, romaine, iceberg, bibs oh my! September produces the harbingers of fall and winter; winter squash, storage potatoes and onions, carrots and beets, cured garlic, and the return of cooler season greens like spinach. In addition to fresh produce, our Veggie Club Memberships include stone milled organic flour. We source the whole grains (wheat, rye, spelt, kamut, and corn) from Montana Milling in Great Falls and mill it on our granite stone mill.